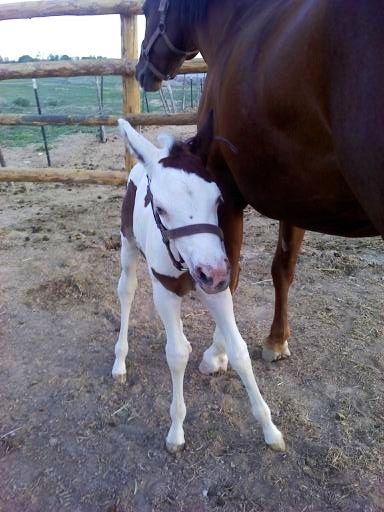 Ah, that wasn’t so hard . . . .
Just a few days old, and already wearing a halter! Her loving and capable trainer eased her into it and is already working with her to lead. Glowing reports about “she’s so intelligent!” and “she has such a good attitude” fill us with anticipation for what a great horse she will become. She won’t come home with us for some time, and we can hardly wait. The work won’t wait, however, as we have to build a new corral and we are still working on repairs to an ancient loafing shed that will shelter Tilly from the elements. Still a baby, need some rest . . . .
Tilly spends time running laps around her mother and by all reports is healthy and very active. Her blue eyes are sun-sensitive and she wears a mask to shade her eyes part of the day. She took to it with no outbursts of temper, which is a credit to her and her trainer. Hey, Doc, I’m doing the best that I can . . . .
Tilly’s stable-mate is a little filly born the day after Mother’s Day, which was when Tilly arrived (what a great Mother’s Day surprise she was!). 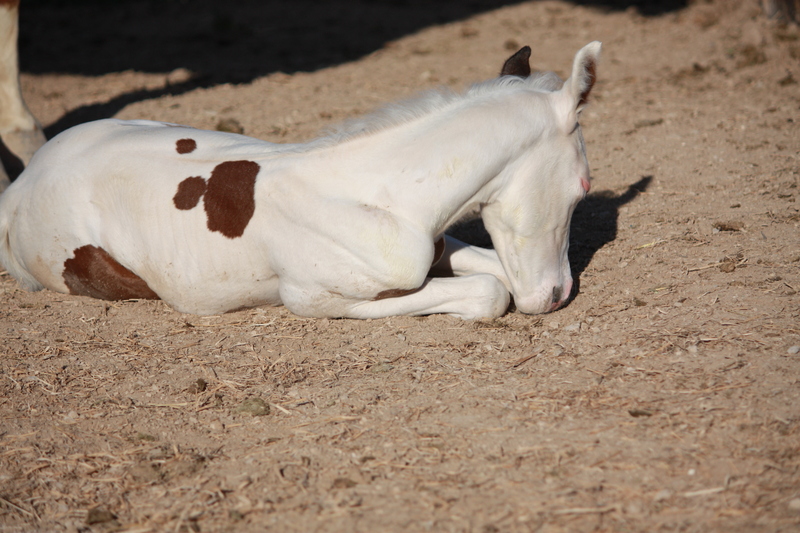 This little filly was a breech delivery and she had a rough day of it. 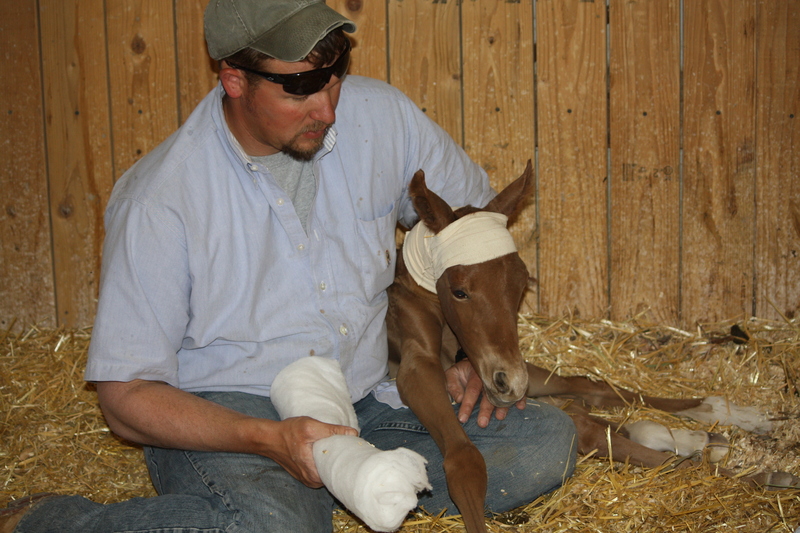 The veterinarian is fitting her with splints to help support the tendons in her front hooves so she can stand. She is progressing beautifully and can now nurse, which is so vital. Soon, she’ll be running wild with Tilly and they should become great companions. It’s not my first time to visit this web page, i am browsing this site dailly and obtain nice data from here all the time.